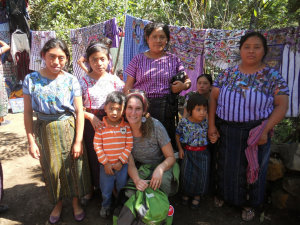 Guest blog pos t by Teri Jedeikin, a delightful participant on our 2014 trip to Guatemala. 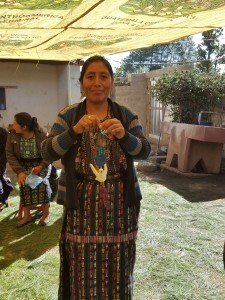 She really captured the lives and personalities of the Mayan fair trade artisans we visited. There was the excitement of designing new Judaica items while visiting the artisans; for example, we saw a beautiful woven scarf and yelled “that could be a tallit”! It is now in production. We heard stories about how having long term relationships with MayaWorks and Mayan Hands had improved their lives, and especially, that all the daughters were now getting an education. Keep your eyes open for news about our 2015 trip! With deep appreciation to Teri Jedeikin, for putting together this fun and educational slideshow about her experience, which first appeared on the ROI Community’s Blogpost page! 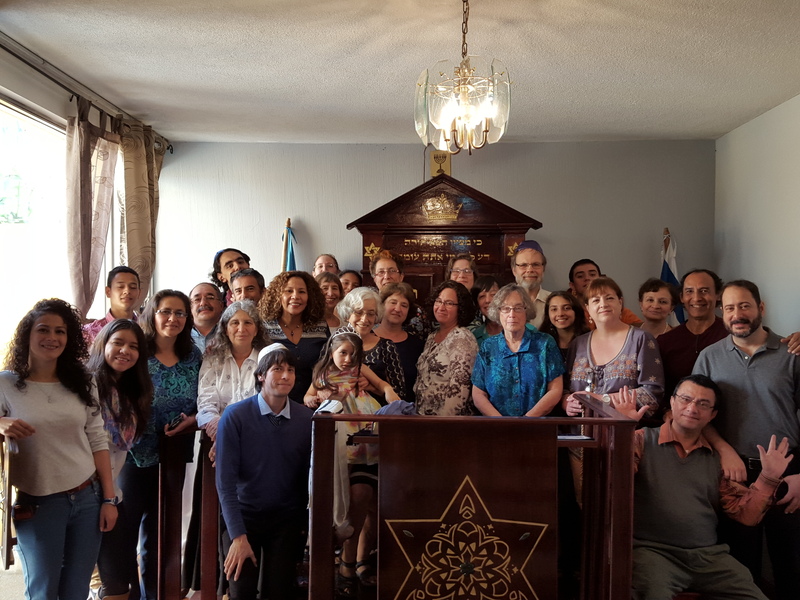 We are pleased to feature this guest blog by Rabbi Elliot Salo Schoenberg, Associate Executive Director of The Rabbinical Assembly. Working with their Social Action Committee, the RA passed a fair trade resolution in 2012 and now only serves fair trade coffee on its premises. Jacob Emden was one of the leading Jewish religious figures of the 18th century. He wrote 31 books. He lived in a Jewish world still reeling from the impact of Sabbatai Tzvi the false messiah. Sabbatenism had gone underground. Emden saw as his mission to uproot this hidden evil. Emden is most well known for accusing Jonathan Eyberschutz of being a Sabbatean. Let me share with you one incident from Emden’s life. In 1721 shortly after his father’s death, he went to London England to collect monies owed to his father. He went to a coffee house to drink coffee, a new drink just introduced to Europe. The rabbinical authorities in London forbade the drinking of coffee in coffee ouses because they concluded it was not kosher. Emden is asked to leave. He refuses. Why? There is some speculation he went to the coffee house, the poor man’s university, to soak up secular culture and learning. However, the current research holds that Emden acquired his secular learning in a disciplined and organized way not informally. So why did he go to the coffee house? He loved to drink coffee. One of the most important Jewish figures of the 18th century organized his day around drinking coffee. However we understand this incident it is fair to say: NOT JUST A CUP OF COFFEE, A JEWISH CUP. What role does coffee play in Jewish life? It is not connected to a specific Jewish holiday. Coffee is a part of every day life. Coffee fit in well with Judaism. If you drink coffee before praying in the morning, it made for better davening. If you drink coffee after dinner, it made for better study of Torah. If you drink coffee after midnight, it made for greater tikkun the bringing of heaven down to earth. 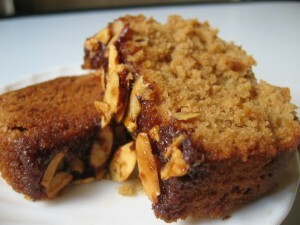 Recent scholarly research shows a direct connection to the spread of the Shavuot ritual of tikkun leyl shavuot from east to west, as coffee usage spread from Yemen to Eastern Europe to Western Europe. What role does coffee play in Jewish life? Coffee makes possible a more intensive Jewish experience. Is Coffee kosher? Coffee was a new product to pre -modern Jews, it was not known to the rabbis of the Talmud. There were some initial questions. What blessing do you say over coffee, the blessing over fruit or the blessing over a drink? The correct blessing might be in doubt, but not the kashrut of the coffee itself. Can you drink coffee in a coffee house? Perhaps the utensils are not kosher. But coffee was always kosher at home. There were questions but how to make coffee on Shabbat so it would not violate the laws of cooking on Shabbat. But there never was a questions on how to make coffee the rest of the week. NOT JUST A CUP OF COFFEE BUT A KOSHER CUP. Jews worked in the coffee trade. Sephardi Jews from Holland acted as middle men importing coffee from the Caribbean to Europe. Some Askenazic Jews who were already local spice peddlers added coffee to their roster of goods. Civic governments in 17th 18th, and 19th century Europe permitted Jews to trade in coffee because it was not important economically. However, when the coffee traded boomed, anti Jewish legislation is introduced forbidding Jews to compete with Christian merchants. One example may suffice to represent the situation. In Frankfurt, for over 20 years, from 1760s-1780s, the city government debated and enacted laws denying Jews the right to sell coffee. The objections were based on limits to Jewish retailing from 1612 an ordinance which defined which spices and commodities Jews could peddle like pepper, cloves and cinnamon. Coffee is not mentioned on the list because it was not available in Germany at the time. Christian merchants argued since it was not explicitly permitted it must be prohibited. Jewish merchants argued since it was not explicitly prohibited, it was permitted. The government heeded the Christians. How many of you drink Coffee in the morning? How many of you order a special cup of coffee say Machiacco Latte with an Extra Expresso? How many of you feel better after you drink your cup of coffee? Who wants to make a difference in the world on a daily basis? Workers are guaranteed safe and healthy work conditions. Is a practical daily demonstration of the Jewish value of tzedekah. How does Fair Trade work? In addition to monitoring the working conditions, a percentage of the purchase price goes back to the community for communal projects. Communiites build water purification systems, support preventive medicine visits from doctors, sponsor education on sustainable agriculture and provide education to the children of the workers. On this shabbat let us continue to drink our coffee, let us enjoy our daily morning cup of coffee. But if we drink the right cup of coffee we can change the world. NOT JUST A CUP OF COFFEE BUT A JUST CUP. Shabbat Shalom. I remember the very beginning of microcredit as a movement. I was there. My congressman, Ed Feighan (D-OH) introduced legislation that would make it part of US foreign aid. I worked with his legislative director, George Stephanopoulos, yes, that one, to make it law. Today my heart leapt as I met Ilana Schatz, Executive Director of Fair Trade Judaica, and learned of her initiative to make microenterprise the norm at Jewish B’nai Mitzvah, weddings, and synagogue celebrations. Why was I so pumped? If you don’t have time to read my gushing review, you have my blessing to go learn for yourself. I learned of a weaver named Lili Carmen Osario in the Lake Atitlan region of Guatemala, where my two children were born, who created the first ever Fair Trade Tallit (prayer shawl), and who trained five other weavers to make these on order through MayaWorks in Chicago (www.mayaworks.org), Mayaworks has people tie the fringes under Rabbinic supervision. Wouldn’t it be better to give such a special prayer garment to your son or daughter? Wouldn’t he or she look forward to showing off the new holy threads at services AFTER becoming Bar or Bat Mitzvah, knowing that they helped the children of a village go to school? I learned of a micro farmers cooperative in Ghana, West Africa, with 65,000 members who hold stock in and sit on the board of their distribution company. 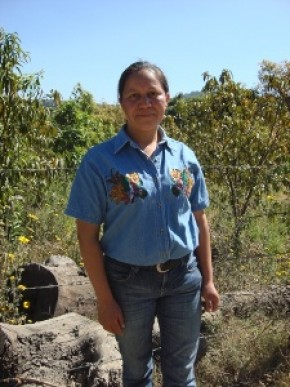 With their profits, the members have provided safe drinking water, free primary education, and basic health care to themselves on a cooperative basis, and listen! Before the cooperative, when the only source of credit was a moneylender, dozens of micro farmers lost their land. Together, the coop bought back these farms and lent the money to the farmers to begin anew. I learned of a cooperative in Nepal which is so successful that it advertises in the airline magazine for people on transoceanic flights. But this is no corporation, no shadowy entity controlled by a few self-dealing insiders. I saw the photos of the cooperators themselves. Ilana told us about them and each of their families! I was thrilled to learn the origin of the prayer flags that had popped up in my synagogue. What can you do? 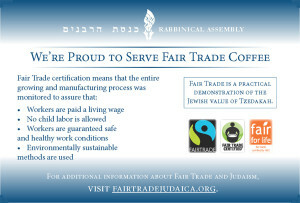 First, visit the Fair Trade Judaica website and explore. Don’t worry, if a product you or your organization wants is available direct from the artisan, the site will give you the link to order directly. Second, contact them directly if you want to incorporate anything from kosher fair trade chocolate to kippot for a celebration. Third, introduce this concept in your synagogue or organization. Learn and share why this is a Jewish issue. You can make it a policy that your synagogue will NOT buy textiles made in sweatshops in China or Bangladesh. When there is a will, there’s a way. Let’s be partners for change. Rosh Hashanah is just a few days away, an auspicious time to reflect on how our actions truly express our values. 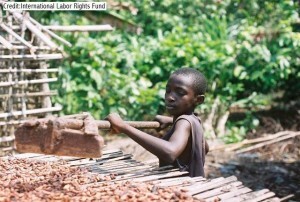 Choosing Fair Trade products, when they are available, is one powerful way to act on what is important to us. This year, by choosing Fair Trade honey, we can also sweeten the lives of the bee keepers who make it. Here’s my guest blog published by Hazon’s “The Jew and Carrot” column in The Jewish Daily Forward. In less than two weeks from now, we’ll be gathering around our menorahs, playing dreidel, eating potato latkes (and jelly doughnuts), celebrating the festival of Chanukah. Chanukah comes from the word meaning “dedication”, and refers to the re-dedication of the Temple in Jerusalem after the Maccabee’s battle for religious freedom. On Chanukah we not only celebrate our people’s freedom, but are also called upon to re-dedicate ourselves to work for the freedom and liberation of all people. Making consumer choices based on fair trade principles provides a powerful opportunity for us to act on our Jewish values. Environmentally sustainable production methods are used. Menorahs from Ten Thousand Villages. This year they offer four uniquely different ones, made in Cambodia, India and Mexico; two of them are made from recycled materials. 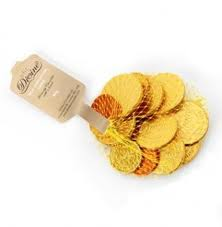 Fair Trade Chanukah gelt by Divine Chocolate; it’s the only totally guilt-free gelt where you can be assured that no child labor was involved. Paper cut Chanukah banners from Casa Bonampak made by fair trade artisans in Mexico add a festive quality to your gatherings. We all have the opportunity to create miracles in this world! Artisan Lila preparing cotton thread for her loom. If you haven’t heard already, you will soon feel it in your wallet. Rising cotton prices due to a global cotton scarcity, as well as the rise in production and labor costs are affecting the worldwide textile industry. In the last year, the world witnessed devastating natural disasters from the floods throughout Asia, Australia, and the United States. In addition, apparel market prices have not increased to keep up with the real cost of production. Many of us will see a 10-15% increase in the cost of clothing. From larger textile manufacturers, to small fair trade importers, companies are looking for alternative materials to continue production in the developing world. For fair trade companies, continuing sustainable partnerships is key to economic justice for artisans. MayaWorks, a nonprofit fair trade organization working with approximately 125 indigenous artisans in Guatemala, has also been affected by the rise in cotton prices. MayaWorks’ artisans rely on high quality AZO-free cotton threads for the majority of their fair trade products. Many companies have discontinued cotton thread production due to the volatility of the market. Because it is our goal to provide steady, sustainable and fair work for our artisan partners, MayaWorks is responding with creative solutions. MayaWorks is responding to the crisis by creating strategic short and long term production solutions in partnership with Guatemalan staff and artisans. 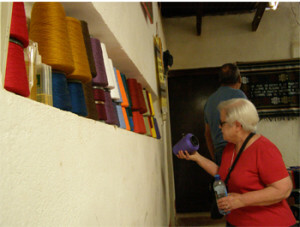 When our major supplier shut its doors, Guatemalan staff immediately looked for other local thread cooperatives. Still, this is only a short term solution and cotton prices continue to increase. MayaWorks staff in the US and Guatemala have begun to collaborate with local design companies to source natural, reusable, and eco-friendly materials available in Guatemala. These materials include jute, recycled cotton, and natural seeds for jewelry. We have also met with local talent, including design consultants and university students. Other solutions include discontinuing production of larger, less popular woven items, and investing in smaller, functional products. 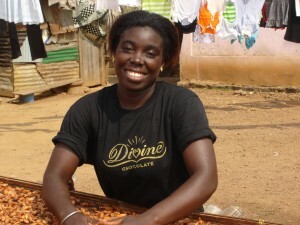 Other fair trade companies like Greenola are facing similar challenges. 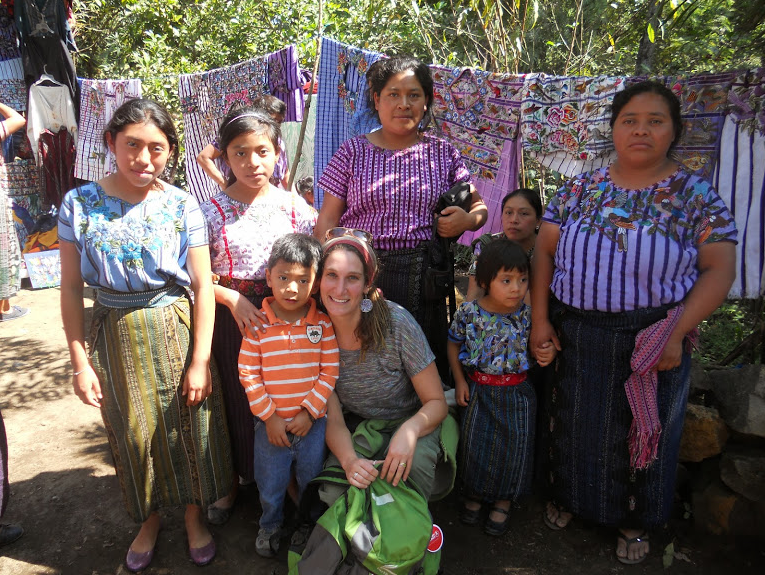 Jennifer Moran, owner of Greenola, sources fashionable, fair trade and eco-friendly products from South America. “We were unable to sell our REALLY popular cotton crocheted scarves as the price would have doubled!” In reaction to the global cotton scarcity, Greenola is focusing on smaller accessories and jewelry. They are also training partner cooperatives to learn new skills such as sewing, so that they have other types of work and focusing on products made of alpaca. Artisans are focusing on simpler designs, staying away from high detail, labor intensive items. Sustainable Threads is a fair trade company working with artisans in India. Harish and his producer groups have also faced difficulty as much of their products are made with organically certified cotton. “Not only are the prices of cotton going up but also the labor costs for production are increasing at the same time.” “We plan to discontinue [some products]. In some cases we have reduced the design work on the product, so the prices are still workable to sell in the US market.” Sustainable Threads is also planning on working with recycled materials and products. Fair trade companies will need to respond to this situation quickly, and look for alternative materials that are more eco-friendly and sustainable. There is no telling when the cotton crisis will subside, but many forecasters are predicting a difficult year ahead.